Continuing our discussion on common steering system issues, having talked about Darting and Wandering steering, we now come to discuss Nervous steering. Drivers often complain of nervous steering or unpredictable steering when driving on second class roads, they often explain this in terms of being tense or unable to relax especially with oncoming traffic. The vehicles response to steering input is unpredictable from left to right and it takes constant effort to keep things on track. This naturally increases the effort and concentration required by the driver, increasing fatigue levels and generally making the job a lot harder than it should be. The key to identifying this nervous steering problem is the uneven response to steering inputs to the left and the right. 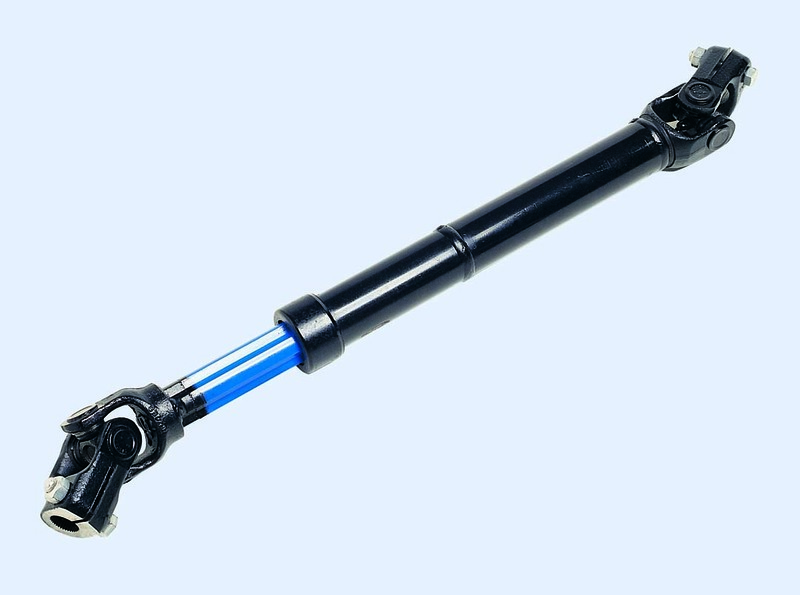 Steering shafts often have 3 or more universal joints in them. As a universal joint is rotated the output speed varies depending on the rotational position and the angle of travel (i.e. how bent the joint is). Therefore the input speed to the steering box will depend on the relationship between each of the universal joints in the steering column. The driver will be moving the steering wheel in a smooth way at a consistent speed but depending on the configuration of the universal joints the input speed into the steering box on a Left hand turn may be quite different to the input speed on a Right hand turn. The driver perceives this as nervous steering or unpredictable steering. In a simple 2 universal joint system such as a transmission drive shaft it is easy to balance the speed variations of the universal joints against each other, but in a more complex steering shaft with up to 5 universal joints it becomes much more complex. As commercial vehicles have become more car like in the accessories and comfort levels the ability to adjust the steering wheel position has increased significantly. This has complicated the design of steering column typically increasing the number of universal joints between the steering wheel and the steering gear making nervous steering more of a problem on modern vehicles. Hydrosteer’s has developed techniques to get the best out of complex steering shaft systems often eliminating the nervous steering problem. what ratio variation would you expect to see on a 1996 CHR Mack ? Typically the variation could be 30% or more.